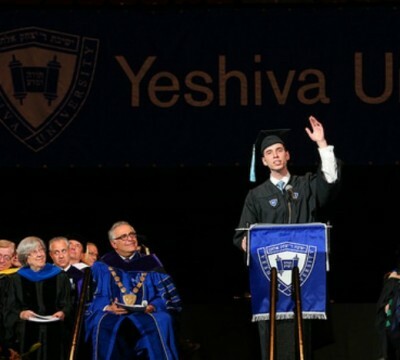 Prof. David Shatz, professor of philosophy at Yeshiva University’s (YU) Stern College for Women, will deliver the keynote address at YU’s 78th commencement ceremony at Madison Square Garden’s WaMu Theater in New York City on Thursday, May 14 at 11 am. When Columbia University announced that Iranian President Mahmoud Ahmadinejad was invited to speak on its Morningside Heights campus, Yeshiva University students immediately began organizing their protest. Despite being on vacation, at least 30 Yeshiva University students made their voices heard among the hundreds of other activists gathered to protest Ahmadinejad’s visit on Monday. The memory of the murders of more than six million Jews by the Nazis during World War II is seared in the hearts and minds of people everywhere.